The pretty Catholic church of the Annunciation in south Lynn is a delight, but it simply isn't big enough. 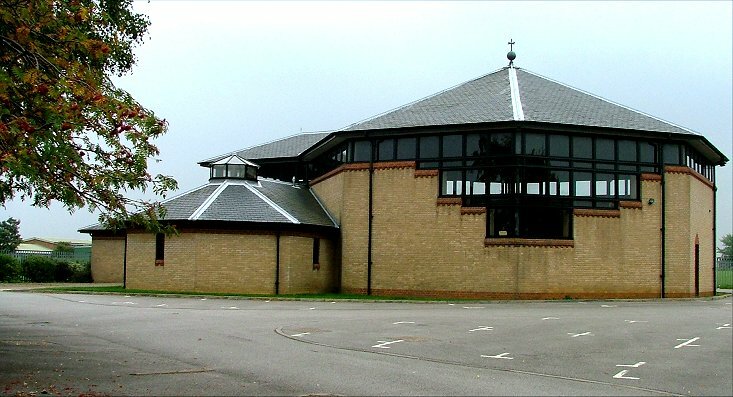 It is also rather remote from the housing estates of north and east Lynn, and so it was that in 1985 this large, modern church was added to the parish to complement it. 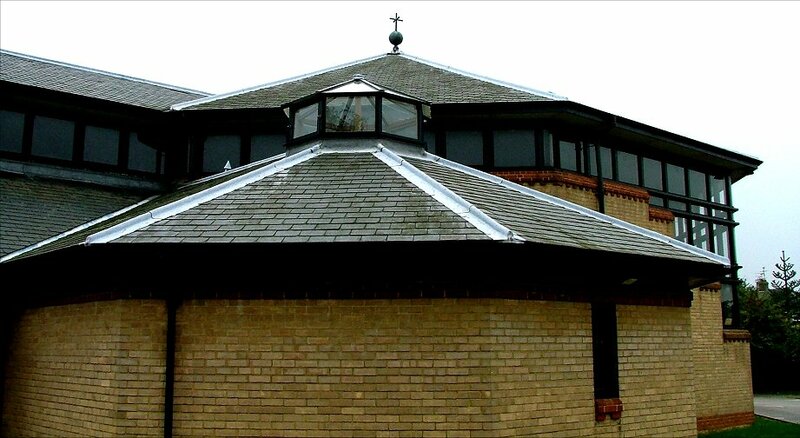 Holy Family is a bold church in the round, consisting of two octagons, one large and the other small, that abut each other. The smaller is a Blessed Sacrament chapel. 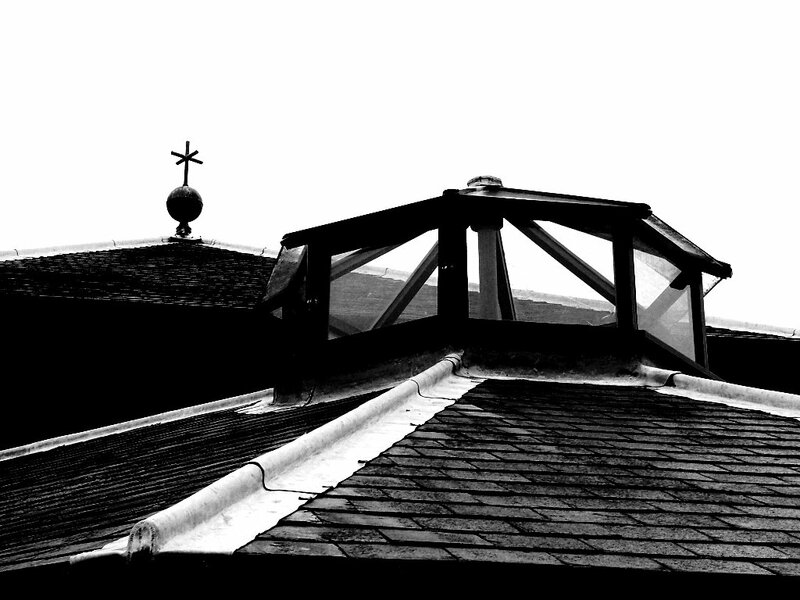 The material is the local yellow brick, topped off with a clerestory, slate roofs, window lights and a cross. I am still trying to find out who the architect was, and I shall add that to this entry when I know. The setting is in the heart of the Gaywood estate, beside the schools. This gives it a campus feel, as if this was the Students Union of a modern university. Out here, we are a good two miles from the town centre, even further from the mother church of the parish, and unsurprisingly Holy Family is kept locked. As it is only a chapel of ease, there is no imperative for it to be open - but what a missed opportunity! In the past, it was little chapels like this that became the focus of private devotions, some of which had a transforming effect upon the Church. 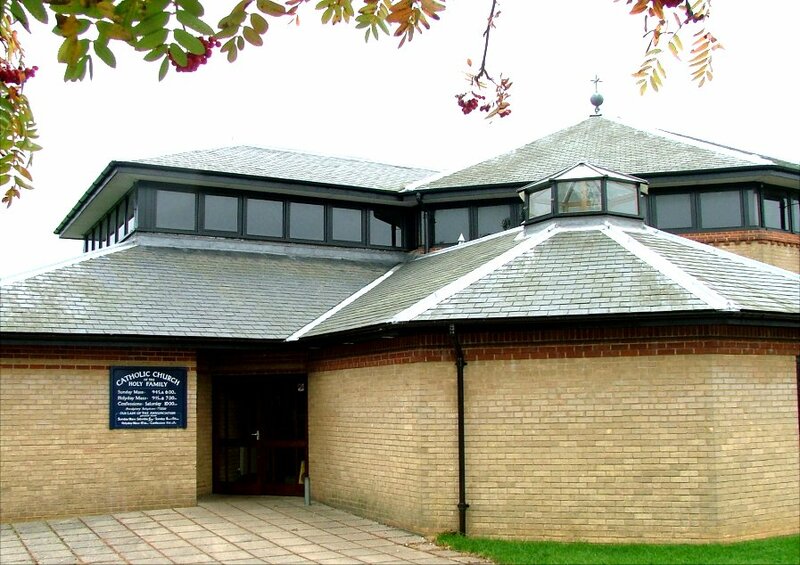 Here in East Anglia, the Catholic population is a growing one, and many of the biggest congregations on a Sunday are in Catholic churches. But the number of Priests is falling, and will fall further. The Diocesan response to this appears to be to close as many outstations and chapels of ease as possible, forcing people to all cram together and spill out on to the streets for a single Mass in the parish centre. And yet, these other churches are also faith communities in themselves - or could be so, if they were allowed.